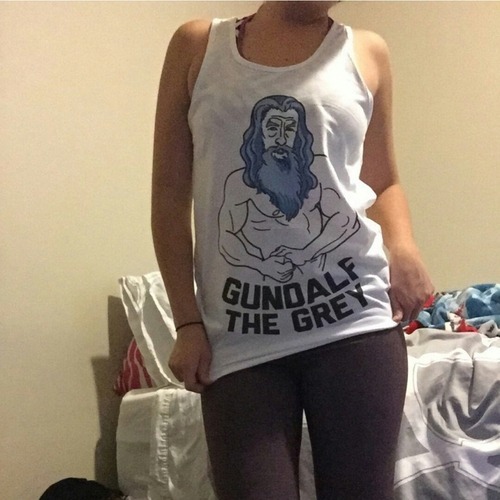 Never to be seen without her clever workout shirts (“Gundalf the Grey”, anybody? ), her fantastic smile, and her positive attitude, @KatieLovesFitness takes the PumpUp spotlight today with an incredibly inspiring story about how she was able to achieve more than she could ever have hoped for in 2014 with the support of the PumpUp community. With one snap decision and a lot of determination, Katie managed to get back into the rhythm of leading a holistically healthy routine with the help of the PumpUp community. “It’s never too late to set a new goal or to dream a new dream, and this summer I really decided to start living a healthy lifestyle again,” she elaborated. 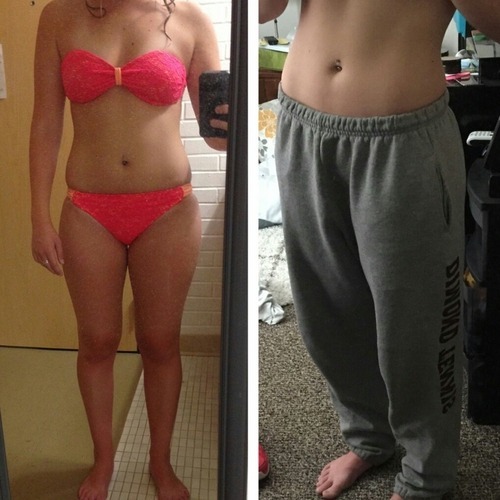 “PumpUp helped me stay on track so much. If I hadn’t been taking pictures along the way, I probably would have never noticed any change. I think this was my biggest problem in the past.” Her resolution for the end of 2014 was specific and tangible: to fit into a specific pair of jeans that she wasn’t able to wear in nearly 4 years. “Now they’re getting big—I honestly didn’t think my body could be smaller than that,” Katie confessed. “I’m being healthy and that’s all that really matters to me.” 2014 was a major year of progress for her and we can’t wait to see what 2015 has in store. Katie began to lift heavier weights towards the end of December and even managed to beat her personal record—clocking in a squat of over 100 lbs. She emphasizes how being part of PumpUp really is a team effort. “Whenever I don’t feel like exercising or eating healthy, I check PumpUp to see how everybody else in the community is doing and how they are fighting against their struggles,” she said. “This motivates me to keep going because I feel like I’m not alone in this struggle.” Katie underscores important, albeit difficult, it is to maintain a healthy lifestyle, and she’s glad to have other people on the app who understand her perspective wholeheartedly. Katie truly is a PumpUp success story! Follow her squatting and weightlifting adventures on the PumpUp app @katielovesfitness!